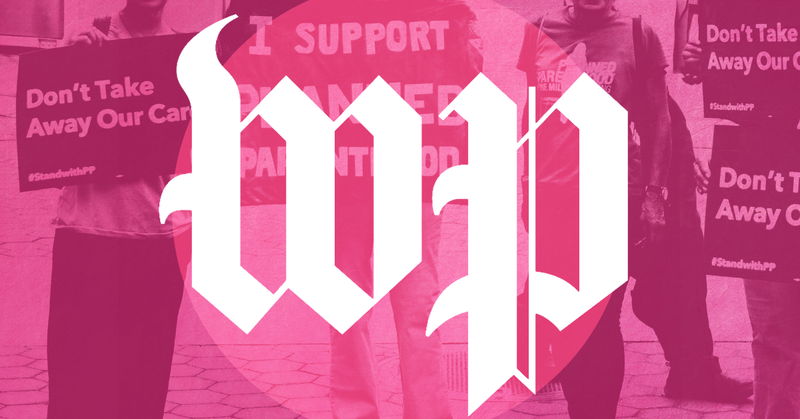 The Washington Post attempted to explore millennials’ supposed support for abortion restrictions after 20 weeks, but instead pushed anti-choice talking points and failed to account for the intricacies and challenges of producing accurate polling on abortion. On January 29, the U.S. Senate failed to pass a bill that would have banned abortions after 20-weeks of pregnancy -- a bill that is based on the scientifically unsound premise that fetuses feel pain by 20 weeks. The Washington Post published an article on January 31 that claimed the bill’s failure “may have offended” a demographic group “both parties are highly interested in winning: millennial voters.” The Post argued that millennials “view later-term abortions differently than abortions overall” by pointing to a Quinnipiac poll from January 2017 that allegedly showed “nearly half — 49 percent — of 18- to 34-year-olds said they would support” a 20-week abortion ban, but that the same group polled at only 9 percent support for the complete outlawing of abortion. The Post published the anti-abortion talking points of Hawkins and Rose without providing any opposing viewpoints -- giving them free reign to advance their assertions. Beyond quoting Hawkins and Rose, some media outlets have given them a platform to repeat their disingenuous narrative that millennials do not support abortion rights and will ultimately be the group that successfully outlaws abortion. Abortion opponents like Hawkins and Rose often point to polling to support their assertions that millennials, and Americans in general, either want to restrict or completely ban abortion after 20 weeks. Although, the Post and many outlets may attempt to objectively explore Americans' opinions on abortion access, when they do so by relying on decontextualized polling data, such pieces can easily slip into a flawed framing that misrepresents the range of opinions on this topic. The standard measures ask respondents about when or in what cases abortion should be legal. The question wording and response categories vary across pollsters. But when collapsed into two categories — legal and illegal — you tend to get a divided public. When it comes to "real life" views on the issue — how people actually experience abortion — the numbers get even more intriguing. Among people who said abortion should only be legal in rare cases, 71 percent said they would give support to a close friend or family member who had an abortion, 69 percent said they want the experience of having an abortion to be nonjudgmental, 66 percent said they want the experience to be supportive, 64 percent want the experience to be affordable, and 59 percent want the experience to be without added burdens. We need to ask questions about how the public views abortion policy — but do so in a more real and accurate way. We shouldn’t, for example, simply ask "Do you support or oppose recent restrictions to abortion?" when we know most people aren’t aware of any trend or what the restrictions might be. Kliff's and Undem's criticisms of standard polling methodologies should greatly influence how outlets interpret and deploy the findings of polling about abortion. For example, the Quinnipiac poll cited by the Post gave respondents a limiting set of categories to express whether they support legal abortion or not; those categories were whether abortion should be “legal in all cases,” “legal in most cases,” “illegal in most cases,” or “illegal in all cases.” As one public opinion research specialist told ThinkProgress, these categories and reductive labels, such as 'pro-life' or 'pro-choice,' “are ‘very superficial,’ particularly because researchers have known for quite some time that the ‘pro-choice’ and ‘pro-life’ labels don’t accurately reflect the American public’s complicated attitudes about abortion.” Indeed, Vox found that when polls gave people options beyond selecting just ‘pro-life’ or ‘pro-choice,’ “about four in 10 Americans” rejected the binary labels, including 18 percent who chose both. Thus, giving people static categories to choose from to express their opinions about abortion -- particularly ones that are divorced from “how people actually experience” the procedure -- leads to misleading findings that are often misused by outlets, intentionally or not. Right-wing media frequently push the idea that the majority of Americans support a 20-week abortion ban -- often relying on polling as evidence of their claims. However, just as questions asked in narrow categories often fail to accurately reflect Americans’ actual opinions on abortion access, polling that merely asks whether people support a 20-week ban similarly misrepresents public opinion on the matter in a way that unduly bolsters right-wing and anti-abortion claims. There’s a drastic drop in support for 20-week bans when people realize that abortions in later stages of pregnancy are often undertaken out of medical necessity or for particular personal circumstances. For example, a Harvard T.H. Chan School of Public Health study on the Zika virus found that when asked in the abstract about later abortion, “less than a quarter of people (23%) believe women should have access to a legal abortion after 24 weeks.” However, that flipped when people were asked about access to a later abortion when a pregnant person had been infected with the Zika virus -- with results showing “a majority of Americans (59%) believe a woman should have access to a legal abortion after 24 weeks” in that situation. In other words, as Hart Research Associates found, “Once voters consider the range of circumstances in which abortions would be made illegal under most 20-week abortion ban proposals, a majority of Americans oppose them.” Polling by PerryUndem also showed that people believe that the the power to decide when to have an abortion should be with the woman, her doctor, and the larger medical community -- and not determined by politicians. 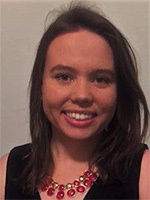 Reporting on abortion polling should reflect that individuals support abortions access because of the reality that people obtain abortions for a variety of personal reasons -- and that when polling considers the specifics of a person’s experience, respondents are far more likely to support greater access to abortion care. Media should avoid the dangerous strategy of incompletely reporting on abortion viewpoints, oversimplifying (whether intentionally or not) public opinion polling, or propping up figures who self-servingly tout this talking point, as the Post’s January 31 article ultimately did.